Average weekly gasoline supplied to the market vaulted 7.8% to a 20-week high of 9.564 million b/d (401.7 million gallons per day), equivalent to 146.62 billion gallons annualized. Refiner/blender input of ethanol slid 1.5% to 870,000 b/d—equivalent to 13.34 billion gallons annualized. 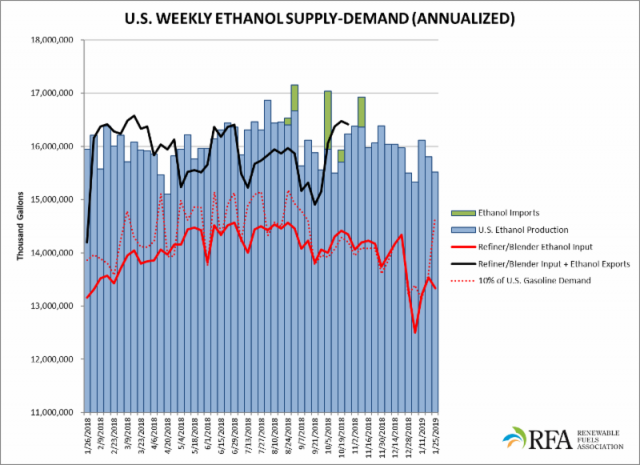 Still, ethanol blending remains higher on a weekly (1.4%) and 4-week average (2.8%) basis than year ago levels. Expressed as a percentage of daily gasoline demand, daily ethanol production declined to 10.58%.